LIKE NEW! 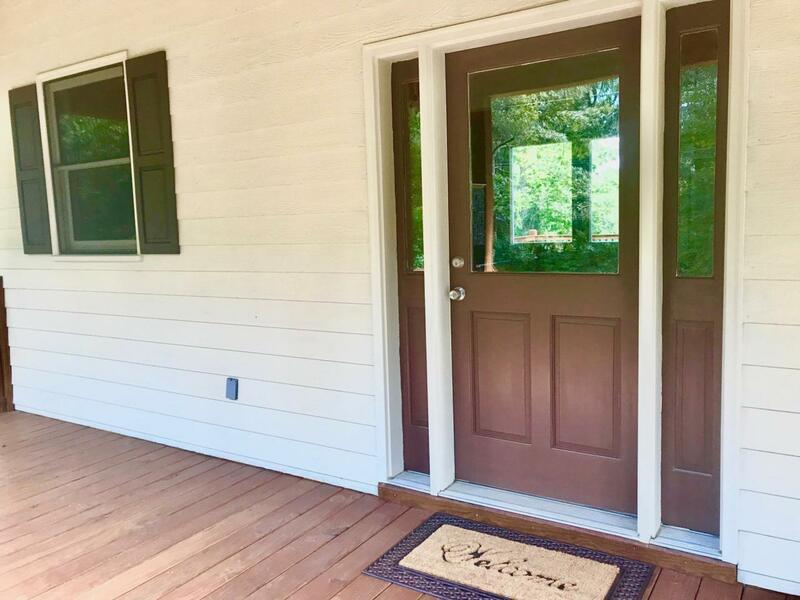 Custom Built Home with Smoky + Appalachian Mountain Views on 1/2 acre lot in Mountain Lake Resort, Interior ''Log Cabin Feel'', 3BR/3.5BA/2CG House originally built on 2 Land Lots, Bear Paw Resort Murphy NC, Western North Carolina! Large Detached 2 Car Garage (RARE find in the resort)! 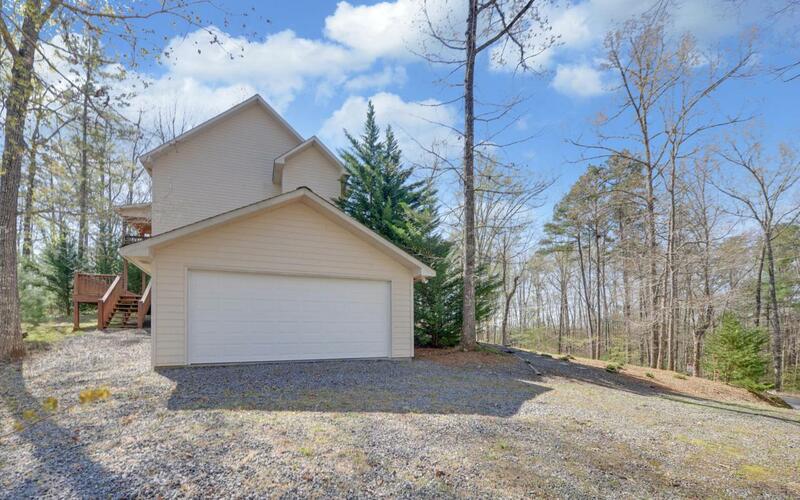 5-10 Min Walk to Lake Hiwassee + Full Service Mountain View Boat Marina for Boating, Jetskiing & Fishing. Boat slips + Boat rentals available! Cathedral Ceilings, Master Suite Downstairs, Loft Balcony Upstairs with scenic views! 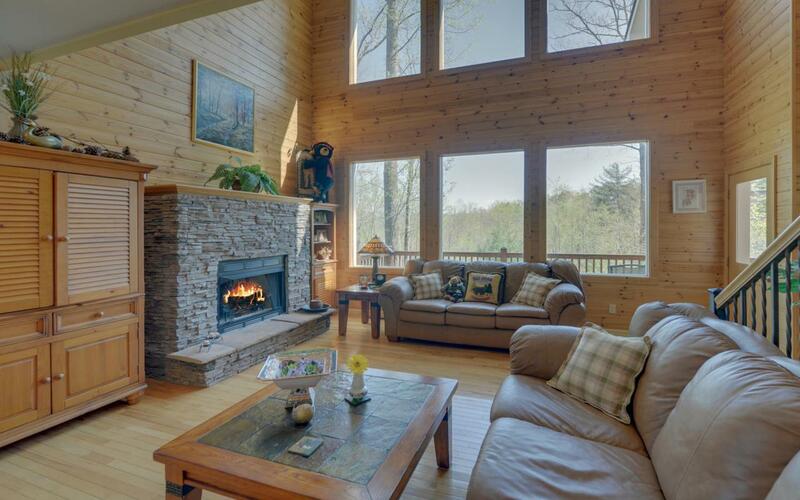 HARDWOOD FLOORS THROUGHOUT, Cozy Fireplace, Covered Porches in front + back. 24/7 Security Guard Gate, Clubhouse amenities: Wifi internet, Pool, Tennis, Boat Marina + Playground. SOLD AS-IS, Unfurnished. Great Rental Income Investment Opportunity to rent for $150-180/night! (+ **Optional Extra Buildable Land Lot for Sale Adjacent to Home's backyard is approx. Half Acre Lot Size-priced at $20,000). *HOA FEES AT BEAR PAW ARE INCORPORATED INTO THE REAL ESTATE TAXES THAT ARE PAID ANNUALLY ($1845/in year 2018). Listing provided courtesy of Paradise Real Estate Intl. © 2019 All rights reserved. All listings featuring the BMLS logo are provided by BeachesMLS Inc. This information is not verified for authenticity or accuracy and is not guaranteed. Copyright 2019 Beaches Multiple Listing Service, Inc. IDX information is provided exclusively for consumers' personal, non-commercial use and it may not be used for any purpose other than to identify prospective properties consumers may be interested in purchasing. Data last updated 2019-04-22T20:02:34.977. © 2019 REALTORS® Association of Indian River County, Inc. All rights reserved. IDX information is provided exclusively for consumers' personal, non-commercial use and may not be used for any purpose other than to identify prospective properties consumers may be interested in purchasing. Information is deemed reliable but is not guaranteed accurate by the MLS or The Reynolds Team/Treasure Coast Sotheby's International Realty. Data last updated: 2019-04-22T19:36:57.743.